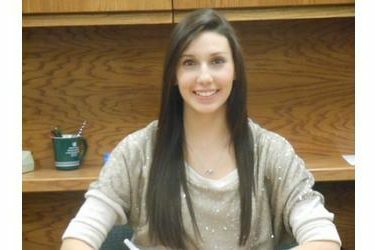 Seward sophomore outside hitter Annelise Sanchez signed to play volleyball at Texas-Permian Basin Thursday afternoon in the All American Room at SCCC/ATS. Sanchez will enroll at the NCAA division 2 school which plays in the Heartland Conference. Sanchez helped Seward to 22-17 this season in a season which ended Sunday in Hutchinson. Sanchez was second on the team in kills this season with 373 and finished fourth on the team with 273 digs. She ranked a solid 5 th in the Jayhawk West in kills this season and also ranked in the top 10 in the league in hitting percentage and kills per set during her sophomore season. She is one of just 10 players in the past 10 seasons to earn All-Conference honors in both of her seasons at Seward County.